When you work with Munro Benge you are working with a global resource and have access to the world’s best advice, products and services. Small does not mean a lack of resource and grunt. Quite the reverse, you get the intimacy of close working relationships, access to senior partners but recourse to the equivalent experience and skills of one of the big firms. Munro Benge is a member of BKR International, one of the top 10 global accounting associations that represents the combined strength of more than 145 independent accounting and business advisory firms in over 300 offices and 70 countries. Large enough to offer a full range of services, yet small enough to provide personal service and connections, BKR member firms are committed to delivering superior client service throughout the world. 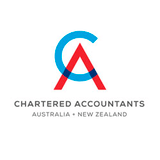 Walker Wayland Australasia is a network of independent but like-minded Chartered Accounting firms located throughout Australia and New Zealand. As a member firm of Walker Wayland Australasia, Munro Benge are uniquely equipped to deliver a range of services that are relevant to Australian, New Zealand and Trans-Tasman business today. The codes of practice and professional conduct you expect from an accountant should be of the highest possible standard. The Institute is part of a global network of professionals where the standards of professional acumen and service are agreed. This goes beyond a guarantee; it gives you direct recourse to the industry body regarding any aspect of our work. We want you to have the best.